Gather fresh herbs from your herb garden or collect fresh veggies from outside with a lovely Amish Garden Basket Planter to hold them. This lovely tray basket is cute and decorative and available in a wide array of sizes. 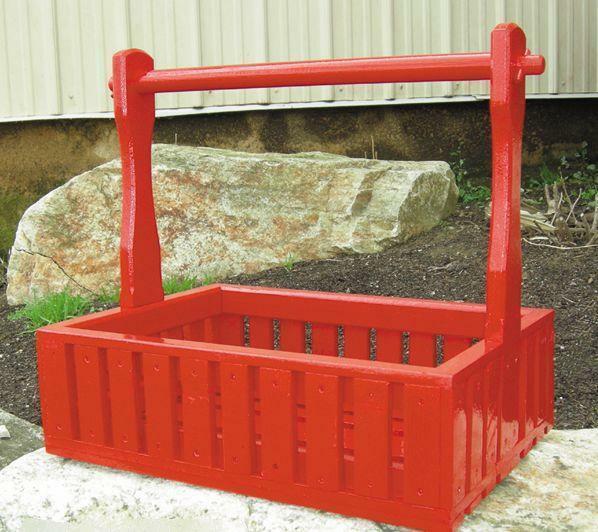 Available in Small, Medium or Large, with or without handles, your new Amish Garden Basket Planter will be a handy helper as you garden. This basket planter makes a lovely gift for a friend who shares a love of gardening. Order a few at this reasonable price to help you with each and every harvest! Please email or call us with any questions about our outdoor decor items. We would love to hear from you. Thank you for shopping with DutchCrafters.